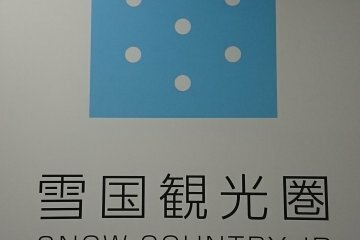 A highlight for entertainment in Echigo-Yuzawa in "Snow Country" is right at the train station. It is the Ponshukan, an unusual institution where you can combine sake tasting from mini sake vending machines and onsen bathing - in hotspring water enriched with sake of course - all the while you wait for your train back to Tokyo. 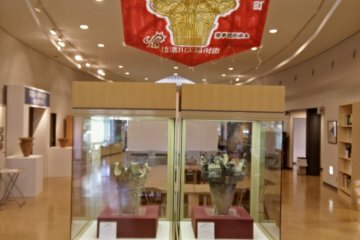 Echigo-Yuzawa station was re-developed in 2010 and it now has the best information facilities for foreign visitors in Yuzawa as well as a range of nice shops and restaurants. 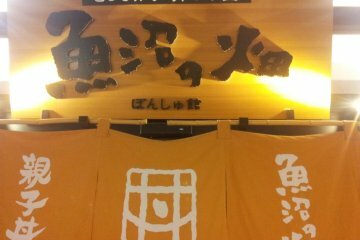 The first kaiten sushi (conveyer belt sushi) restaurant in Yuzawa was opened in the station! The Ponshukan is a hall whose wall on one side is lined with sake dispensers that look like mini vending machines. 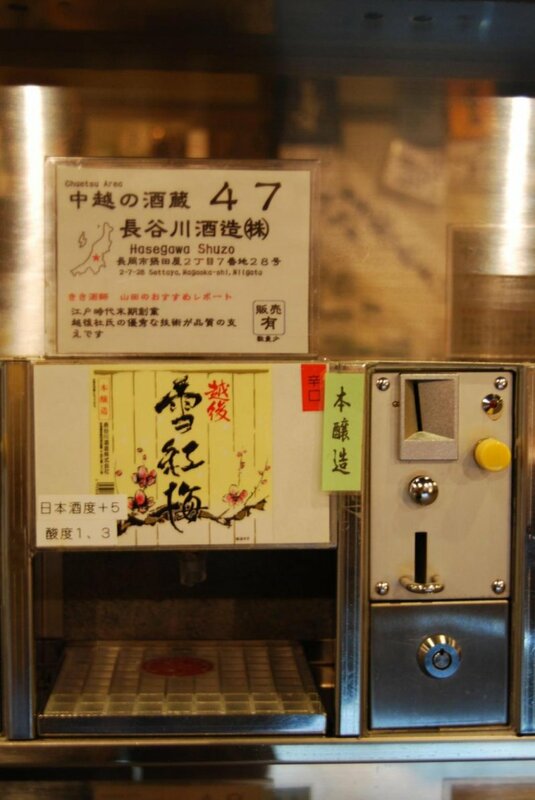 Put a plastic token in the money slot and you will get a cup full of sake. 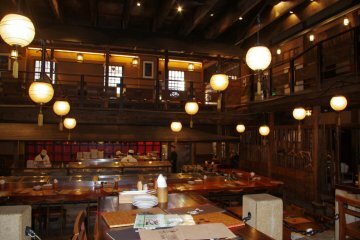 For 500 yen you will get a sake cup and five tokens, which will buy you five cups of sake of your choice. 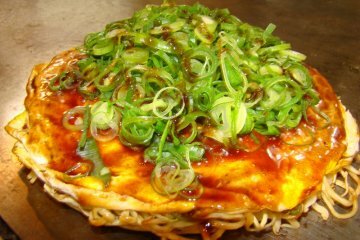 Take your pick from no less than 96 different brands, which are all produced in Niigata, the prefecture where Echigo-Yuzawa is located. This is sake heaven indeed and very dangerous as all sake samples taste just as good. 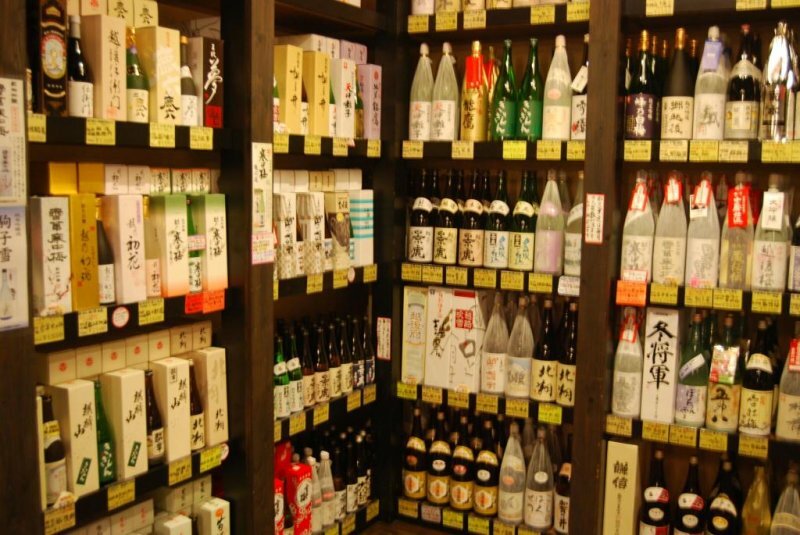 Members of staff are at hand and advise on different sake tastes and styles. 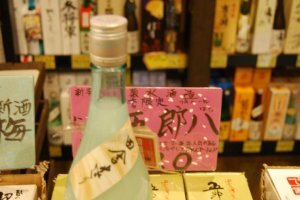 I have found my preferred sake to be slightly sweeter and of a slightly pinkish color and I was told that this is some new style of sake for ladies. Usually I don’t drink sake much but here I was inclined to go for a second round as I wanted to sample more. 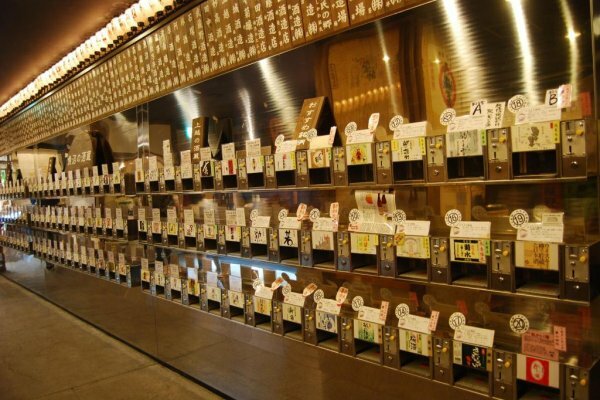 One gets quickly addicted to putting in a token and filling the cup again with a different type of sake. 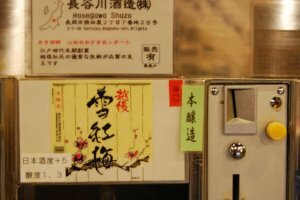 Once you have found your favorite sake at the Ponshukan, you may go next door to the sake shop where all 96 varieties are on offer. 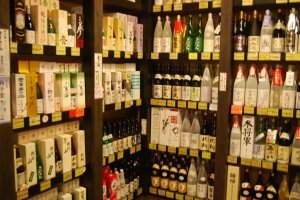 The shelves are filled with sake bottles up to the ceiling. 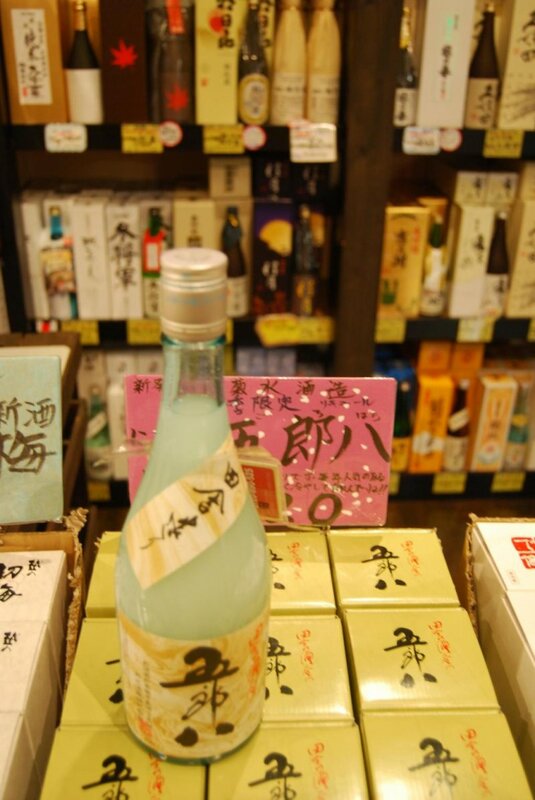 In the shop you will also find some local foods that go well with the sake. If the sake tasting has made you hungry, then try a bakudan onigiri, which is literally a "bomb" onigiri (rice ball). Why bomb? Because of its size and looks! 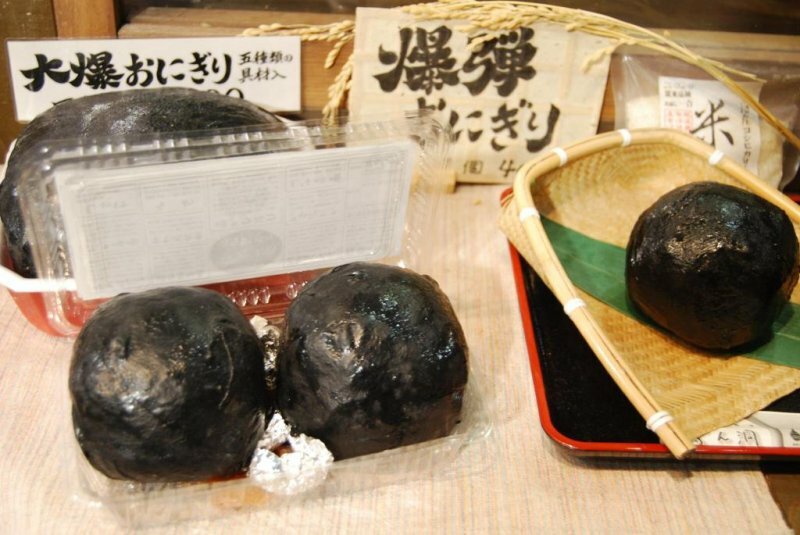 The bakudan onigiri is much bigger than your average rice ball and it is round in shape with seaweed on the outside. It looks just like a bomb of the type that was used in the old days with metal cannons. 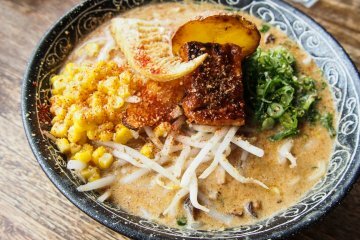 Shot one down your stomach and you will be full for the whole day! 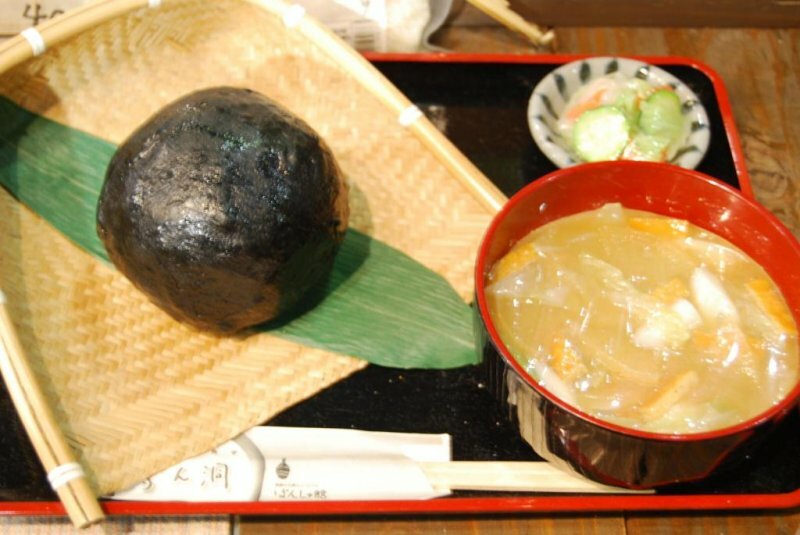 Once the sake has warmed you up a bit and the bakudan onigiri has filled your belly, make your way to the Ponshukan Onsen to round off your Echigo-Yuzawa Station adventure. The hotspring water at this onsen contains sake which will get your circulation going for sure. 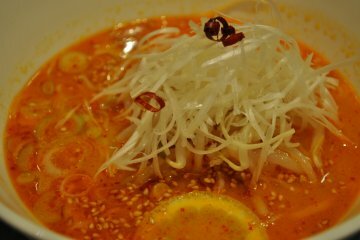 With a full stomach and a bit tipsy in the head, don’t fall asleep in the hot element or you will miss your train!